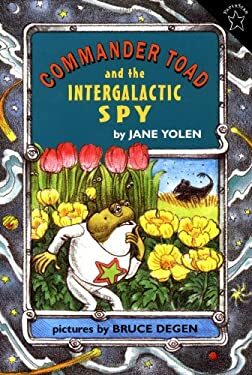 Commander Toad and the Intergalactic Spy. K.
Yolen, Jane. Commander Toad and the Intergalactic Spy. K. 1986. Commander Toad and his loyal crew of amphibians must rescue his cousin, the famous spy Tip Toad, from a spy training planet—if they can figure out which spy is really Tip Toad! The goofy spies and their funny schemes and scenarios are quite funny, but many of the pop-culture puns are very dated (Laugh-In, anyone?) and will go far over heads. Space Ant Goes Home. H.
INFO: Warren, Celia. Space Ant Goes Home. H?. 2000. DESC: This computer-illustrated, levelled book is definitely a bizarre read. 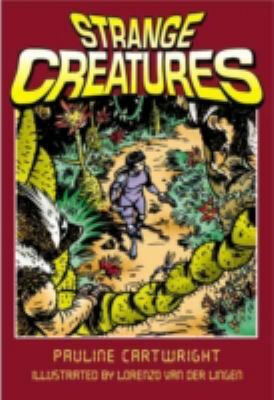 It stars a “space ant” who is exploring other planets, and meets a number of mixed-up creatures – like “Tigeroo” and “Elebird”; and then they go to a Purple Planet, which turns out to be Space Ant’s home! Other than these elements, the book has little coherence of plot, and really was not the best to read with students – it’s a little too “out there” to make much sense; but nice try! Some students, though, might find it funny; or could suggest their own re-writes!